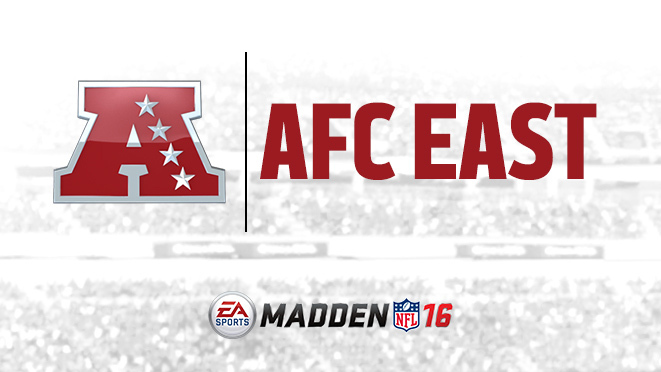 EA Sports has announced the Madden 16 ratings for the AFC East. As expected, the New England Patriots are the best in the division. There is also a new trailer for Madden 16 that you can see at the bottom of this article. Make sure to also check out the free Madden 16 strategies and guides from Madden School when Madden 16 comes out in a few weeks. Let’s dive right into the ratings for the New England Patriots, New York Jets, Buffalo Bills, and Miami Dolphins.